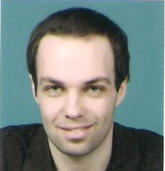 Thorsten Wojczewski is a doctoral candidate at the University of Kiel and a junior research fellow at the GIGA German Institute of Global and Area Studies in Hamburg. He studied political science and public law at the University of Hamburg and the University of Reading. In his doctoral thesis, he examines India’s world order conceptions by investigating the different world order models in Indian foreign policy discourse. At IDSA, he will be researching India’s national security discourse. Among his publications are articles and book chapters on the India-Pakistan conflict, India’s military modernisation and the Naxalite conflict.